Something that I (Aaron) have really enjoyed about writing this column is the opportunity to share childhood favorite movies. While growing up is inevitable and important, I do believe that what we are exposed to as children, and what we latch onto, has a profound effect on who we become as adults. That said, not everything we grow up with works well over time. So today, I’ll be attempting to keep my Nostalgia Glasses off as we review a film I probably watched 200 times as a kid. Last week Michael showed Aaron what was in the box (it was Seven). This week Aaron shares a secret with Michael (it’s regarding the ooze) and takes him out from under the proverbial rock on Teenage Mutant Ninja Turtles II: The Secret of the Ooze. Aaron Hubbard: I grew up at the tail-end of “Turtlemania”, but my uncles and older brother were huge fans and I picked up an appreciation by osmosis. I’ve since come to realize just how influential TMNT has been. If the Turtles hadn’t been such a huge phenomenon in the late 1980’s, would the X-Men and Spider-Man have gotten TV shows? Would Power Rangers have ever been a thing? It’s impossible to tell, but I do think Turtles (and the need to find the “next” Turtles) really defined a lot of animation in the 1990’s, which in turn has had a pretty big effect on my tastes going forward. So, thank you Secret of the Ooze. Michael Ornelas: I remember liking the animated series when I was a kid, but I never saw any of the live action movies. I watched (and reviewed) the first Teenage Mutant Ninja Turtles movie last year back when this column was a podcast and you weren’t on it (not by choice). Aaron: Can we stop for a moment and consider just how bizarre it is that Teenage Mutant Ninja Turtles is a pop culture fixture? We’ve got four anthropomorphic turtle siblings who learn ninjutsu from a talking rat, love pizza, and whose primary antagonist looks like Darth Vader with a can opener fetish. This stuff is weird – so weird that I think it was destined to either flop spectacularly or succeed in spite of itself. But – thanks to some creative ideas, well-conceived characters, and a lot of effort – the Teenage Mutant Ninja Turtles just work. It’s never going to be “high art”, but it doesn’t really need to be; it’s a perfect cartoon world for young children and for adults who want to keep in touch with what made them children. 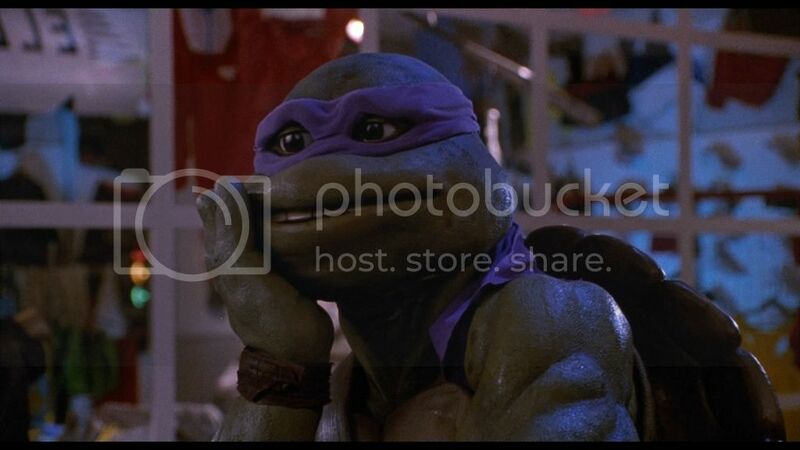 Say whatever else you want about the quality of the films; Leonardo, Donatello, Michelangelo, Donatello, Splinter, April O’Neil and the Shredder are great characters. The first Turtles movie understood that, and the second one does as well. I can’t think of a single moment where any given character had a line that didn’t work for them, and that’s not easy to do considering how many characters there are. I mean, we all love The Avengers for doing the same thing; these movies did it more than twenty years earlier. 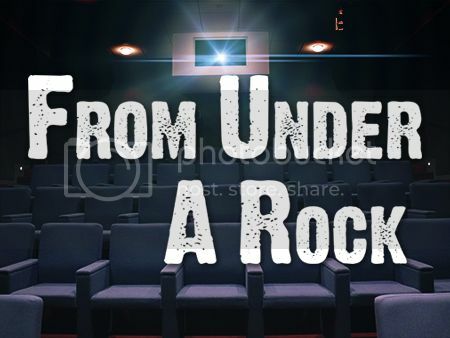 Michael: I will say that the narrative isn’t as clear as it should be (but yes, it does technically work), but this movie was a ton of fun and, for better or for worse, stuck to its character. I have the feeling that this movie turned out exactly the way those responsible for it intended it to, and that’s really how I evaluate films. I personally wouldn’t have added a Vanilla Ice concert fight scene but…I mean actually I totally would because that’s amazing. This movie is full of ridiculous decisions, but they are are large, bold decisions that define the type of movie that this movie (and franchise) wants to be. And more importantly, these movies actually fit the formula of martial arts films really well. I got on a classic martial arts kick last year and have developed a soft spot for the genre’s more ridiculous entries (Master of the Flying Guillotine, Riki-Oh: The Story of Ricky, and Drunken Master to name a few). Go ninja, go ninja, go! Aaron: I think a lot of people hate the last twenty minutes with Vanilla Ice and the anti-climactic non-fight with Super Shredder. But for the most part, the story works and doesn’t have a lot of loose ends. I enjoy the non-action beats a lot more than the action stuff, which is a testament to how enjoyable the characters are. Things like the Turtles trying to find a new house or being disappointed in the seemingly meaningless accident that created them; those are what stick with me. Michael: I’ve become a nerd for production and specials effects, both practical and computer-generated. I have a grand appreciation though for complex practical effects that are well-executed. The animatronics in this movie from Jim Henson’s Creature Shop and they are amazing. 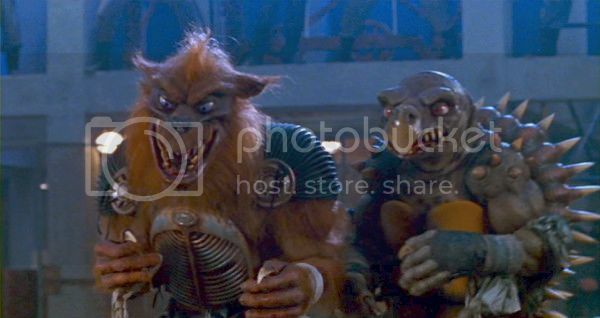 The Turtle costumes themselves (along with Splinter, Tokka, and Rahzar) are incredible expressive and I was impressed by how much I bought into their emoting. The puppeteering is state-of-the-art and it brought these characters to life. I think effects like these would be scoffed at today by this generation’s youth (but I hope I’m wrong about that), but they lead to better performances because the human actors get to interact in the space with the animatronic characters. There’s so much complexity in every movement and I, for one, didn’t take it for granted. Aaron: I can’t speak for adults (or teenagers), but I know that my niece and nephew (the target audience) certainly don’t care that the turtles are puppets. Good effects are good effects, and TMNT 2 has great effects. I know I certainly prefer these over the CGI monstrosities in 2014’s version. That said, the final installment of this series has truly horrific animatronic costumes that are still giving me nightmares. And I think the majority of people who would have interest in this movie are likely invested in the art of puppetry. Michael: Well I didn’t see the Michael Bay Turtles movie but seeing as it’s a franchise made by my employer, I’ll let you be the one to bash it (but also, again, I haven’t seen it). I plan on watching the third movie though very soon and then yes, I’ll check out the reboot just so I can have an opinion about it. 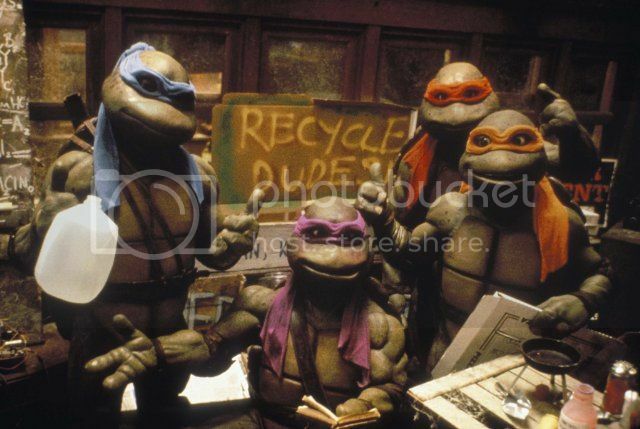 Aaron: The 1989 Teenage Mutant Ninja Turtles was a box office hit with kids and families, but not without its critics. That film tried to mix the darker tone of the comics with the more fleshed out mythology of the TV show, and while I love it, many parents were upset about the violence and the language. Thus, Secret of the Ooze is basically a live-action cartoon. This makes it weird when Leonardo and Raphael have deadly weapons they can’t use, and I think Tokka and Rahzar lose some of their effectiveness when they can’t draw blood. Michael: I actually noticed that when Leonardo threw his swords into the ceiling and then used them to pull himself up and kick the baddies at the start of the movie. I thought it was a really unique way around excessive violence because I had the thought “Yeah, what’s he going to do? Stab him?” and it would have incredibly off-pitch for the franchise given how family-friendly it was. I have never read the comics but this seemed to stay true to itself based on the precedent set in the first film. All things considered, I think this was handled really well. Aaron: I agree overall, but it does seem somewhat “softcore” if you’ll pardon the phrase. Not that I personally mind. What I *did* mind was a line near the beginning where Keno tells a woman “I’ll dream of something a little thinner.” And she’s not even “Hollywood chubby”. I would hate this line in any context, but considering the audience is presumably seven year old boys, having a main character be that obnoxiously misogynist really doesn’t sit well with me. I have no shame in saying that I love this movie in spite of its flaws. But that appreciation does come from understanding who the audience is meant to be. It’s a live-action cartoon, not as good as the first but a serviceable supplement. It’s a really good adaptation of the perfectly imperfect source material. Aaron: Or a slice of pizza. Or an entire pizza. Michael: This is why we’re chubby, Aaron. This exact reason. What belongs on your pizza? Michael: I HAVE BEEN WAITING FOR THIS FOR SO LONG AND NOW IT’S FINALLY HERE!! Michael: I love watching this movie. It’s so bad. It’s just so so very bad. 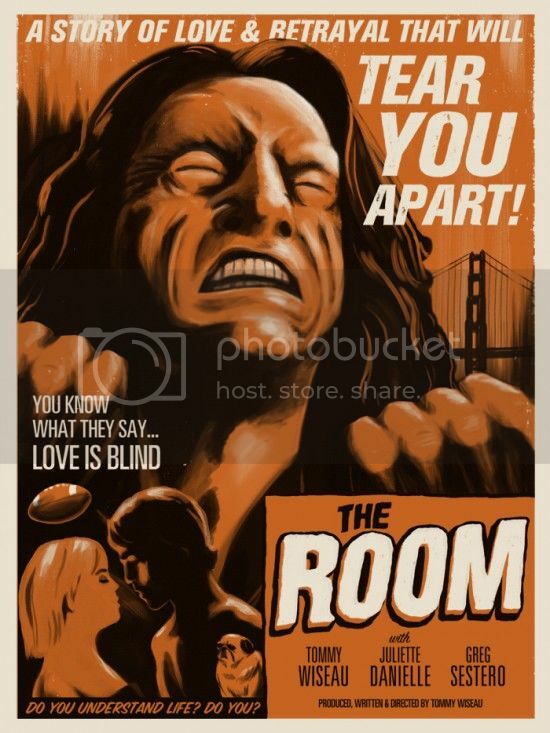 What tears you apart, Lisa? In this week’s episode, Michael reviews Sherlock, his friend’s puppy. He’s adorable (and the dog’s not bad either). Puppies are great, but how are they when reviewed as something else? Watch to find out. This week Aaron looked at a different group of teenaged mutants; The X-Men! 411 Comics looks at the themes and characters that makes that franchise so good.